Have you ever imagine that the underwater inspection system can be invented and used for the underwater monitor, underwater reconnaissance? 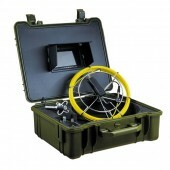 But the appearance of the Underwater Inspection System with 360 Degree Rotation Lens makes it come true. 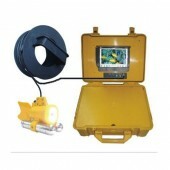 Beside used to the underwater monitor, underwater reconnaissance, this device can examine the underwater hole, underwater operation, fishing and so on. But for the using, this device owns many special characteristics. 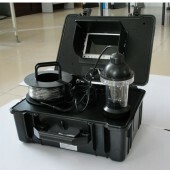 Firstly, it possesses a luxurious, portable, shockproof and waterproof plastic box and its power supply is storage battery, in this case it can be used underwater whenever and wherever. If so this is really convenient. Besides it has a 7 inch high definition color LCD screen and it won’t cause radiation and cost low power. Besides this equipment also includes a High definition low illumination CCD underwater camera with night vision function, which makes it possible to display the results clearly on the LED screen. What an amazing one it is! Do you want one like this? Just come here and go ahead, you will find the high quality products at best price. Good qulaity product. It works very well since i have bought it. The after sales service of your clerk is very thoughtful, i appreciate it very much. convenient and easy to operate. Nice product.